Looking to buy ADA Wet Set Radius Tile, 2 Foot x 3 Foot – Grey, manufactured by ADA Solutions in Rochester NY, Ithaca NY and Western NY? 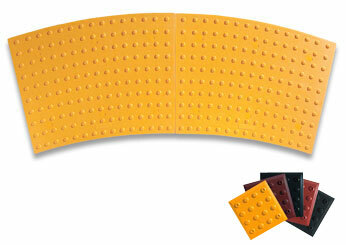 Notably, the product can be used for many radius curb applications, whether construction that is new or retrofit. For ease of use, the panels are pre scored for 10 foot cuts, 15 foot cuts and 20 foot cuts.